Forest Hall at Chatham Mills is a 3500 square foot hall located on 32 acres of lush forest right outside of the historic downtown of Pittsboro, NC- just 20 minutes away from Chapel Hill. The hall is located in Chatham Mills, a historic label making mill built in the early 1900s that now is home to a restaurant, community market, dance studio and small shops. Outside of the hall is a meadow lined with trees and a 80-foot tall Sycamore tree which makes for a stunning ceremony backdrop. 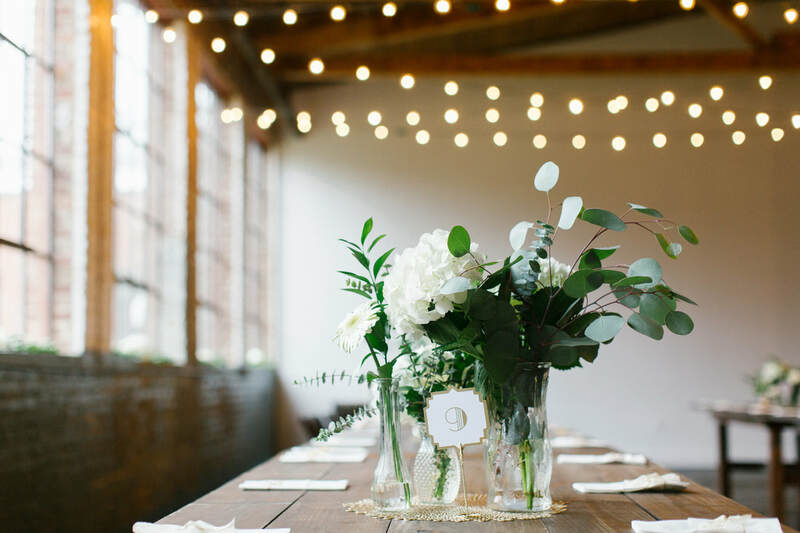 The hall itself has beautiful wooden floors, exposed brick walls, large windows, and market lights hanging from the exposed beams. Our open vendor policy allows for your day to be completely customizable and within your desired budget. The hall has a natural divide in the center with white draping, which makes it an ideal layout for both an indoor ceremony and reception. For weddings of 120 guests or less, all guest dining tables could be entirely set up for the reception on one side and the only flip that would need to occur is moving the chairs from the ceremony to reception half. For weddings over 120 guests, both sides of the hall would need to be used for the reception so more of a flip would be required following an indoor ceremony. With seating on both sides, 200 guests could fit seated. Outdoor ceremonies of any size require only the chairs to be moved inside but all tables could be pre-set. Our custom farm tables make your wedding even more unique as we are the only venue who includes a set of 15 wooden tables as part of your rental! All rentals include use of our beautiful bridal suite and prep kitchen. Check the "pricing" page for a list of a comprehensive list of included features! planners or day-of coordinators too! "Aneesa and Nathan went above and beyond in making sure our wedding day was beautiful. They did an amazing job and exceeded our expectations. We are so very thankful, and truly appreciate every extra special touch they added to perfectly capture our vision...Thank you Aneesa and Nathan, for your outstanding services!" 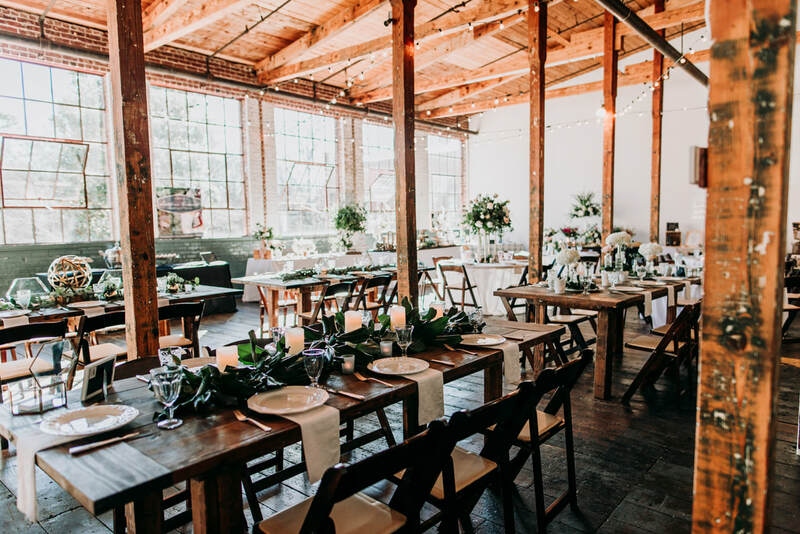 Are looking for venue with a mix of industrial, vintage and historic charm! Want a space that gives you options for an indoor or outdoor ceremony! Would like to host your wedding close to home yet still somewhere unique! Love the flexibility to pick your own vendors! Desire a staff that celebrates diversity and is undaunted by departure from tradition! “Every idea we proposed was greeted with enthusiasm and every need was anticipated.” - Kate G.